please excuse my pores and all, but these are the only recent pics we have! Do you see how very happy I am? I mean, I really am. This guy I was fortunate enough to marry, this guys who chose me, and who I chose, well, guess what? He's a pretty amazing guy. If you read our story - the story of how we met and fell in love and all that - then you know that we started this whole marriage thing in a bit of a rocky place. We loved each other, we had good times together, but the hard times? They were so very, truly hard. They were! And I think it slights who he is now and who I am now to pretend any different. The hard times were so hard that even thinking back to them brings sorrow into my heart. And over the years our love has grown into this real, tangible, good, strong thing. This love encourages us, it makes us better. And all those hard times? It's hard to think about being grateful for them. Honestly, it is. But, I suppose in a way I am because that's what brought us to where we are, who we are today. And I like who we are. I hear people give the advice to young couples all the time to wait to marry until they are older, until they are more experienced or smarter or mature or whatever. And I really don't like that advice, because while it's hard, harder than anything, to figure things out in marriage at times, there is no better situation for learning what real love is. I don't think we need to learn to be selfish before we are able to give. I don't think we need to learn to be independent before we are able to be one. There is so much I could say about 'growing up' together. Learning together. Our lives are woven together, never to be torn apart. Nothing can undo what the last 14 years as a couple have done. There are many things that could tear us apart for a time, but the past can't be undone. It made us into who we are. And I really like who we are. hi! i'm Katie. 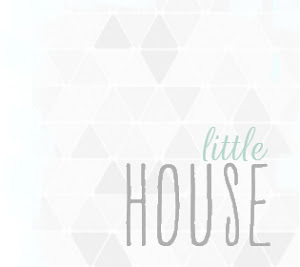 welcome to my little house on the web - look around and make yourself at home. i post about my life, my 5 kids, my home, homeschooling, and lovely little things that bring me joy. thanks for stopping by! The content of this blog is the sole property of Katie Richins. It may not be used or reproduced in any manner without consent. All Rights Reserved. Contact me for more information about sharing content from my site: richinskatie@gmail.com. all images copyrighted 2013 by little house unless otherwise specified. Powered by Blogger.